The WhatsApp two-step verification security feature, which had been under testing for several months, is finally being rolled out to all users of the app. With this feature, those who use WhatsApp on Android, iPhone, and Windows platforms will be able to verify their number when they install the app on a new device more securely. Users will have to provide a six-digit passcode (created by them using this feature) when registering your phone number with WhatsApp again - or any attempt to verify their phone number through the app. Here's how you can enable it on your phone. 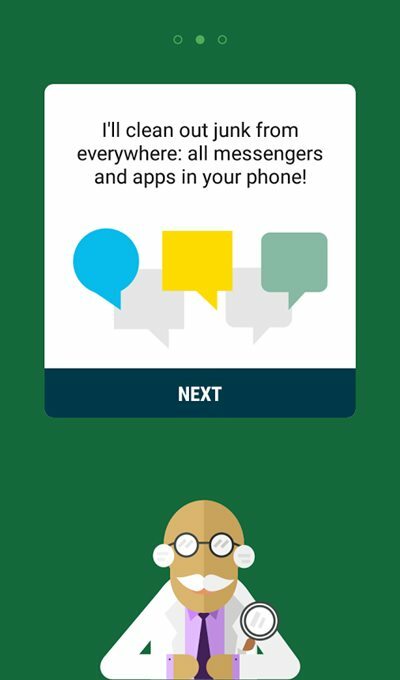 WhatsApp is the most used instant messenger in India, and many parts of the world. There are many things we would like to see on WhatsApp, but the fact is that the Facebook-owned company has been making a lot of steady improvements. Today, you can do things like make a video call, or add a GIF, and a whole lot more. Here are some of the not-so-obvious WhatsApp features that you may not be aware of, but will find useful. New Whatsapp Status has new video / image etc support for 24 hours only. Other changes are also there like camera is at top left corner. In WhatsApp, we all know that everyone can carry on the conversation through text messages, share the short videos, send and receive images etc. Now it is time to delete all the useless photos in seconds from your device. Because of all these functions in WhatsApp, the users get a really excellent communication with other people on the network of the social media those who are added to them. But still, in some of the groups, users get in many useless photos which could also start to be downloaded to your phone automatically if you have set it before in the functions. If you do not want to keep all these photos you may have to delete all these individually or by selecting them all by multiple selection features. This could be a very easy task to do if the number of received photos are large, and to solve this you can actually set up your WhatsApp to delete up to the useless Photos automatically. To know how you can also set that functional behavior in your WhatsApp just read up the below article. The method is quite simple and easy and you just need to follow the simple step by step guide discuss below to proceed with this. Step 1. For the process of deleting up the useless Photos in the WhatsApp automatically, there’s been a great app made namely “Magic Cleaner“. By using this app, the user can very easily and accurately delete all those good mornings or good night junk photos and all of the others like that which you shall not need for any purposes. Step 2. The only thing that you will have to do is install this app on your Android phone (app for iOS is under development) and then open it on your device and then tap on the clean button. It will automatically delete all those junk image files generated from the WhatsApp. Step 3. To use this app, you will require an active internet connection on your device unless this app won’t perform its task. This app actually works by comparing up the images on your phone with that on the network databases and then conclude it to be junk or not very intelligently. You might be thinking that this process may take up much time but let me tell you that this app can easily detect and delete WhatsApp junk images from your device within a minute or so. Step 1. First of all, download and install Gallery Doctor on your Android smartphone. Step 3. 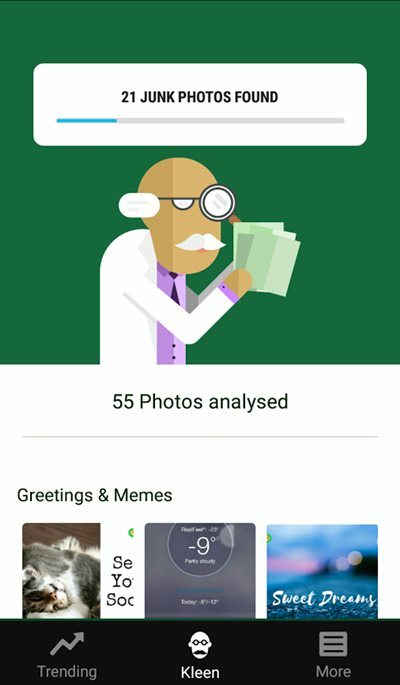 Now wait for few seconds, the app will automatically scan for all the unwanted images. Step 4. After the analyzation, you will see the screen like below. Step 5. Now look for the Bad photos, Similar photos, and WhatsApp photos. You can delete them according to your wish. And that was the very simple way through which you can actually setup your WhatsApp account to delete any of the useless photos that you have received or either you had sent before. All the processes will be automatic and once you have this function active on your account, you have to note that all your useless pics may be deleted automatically every time, but if you would like to store any photos and don’t want to delete them then you can turn out the function Off that you have set through the above method in the article. 1. Find out whom you've interacted with the most on WhatsApp. * Go to "Settings" on your WhatsApp screen. * Click on "Data Usage" and then on "Storage Usage"
A pop up will tell you the ranking of the chats according to time spent along with the breakdown of how many messages you've sent to that person or group. How To Unblock Yourself From Others Whatsapp Account | How To Chat Even IF Somebody BLOCKED You ..
Top 12 cool new WhatsApp Tricks that you should know and try. These awesome Whatsapp Tricks and tips will help you use WhatsApp in a more fun and productive way.